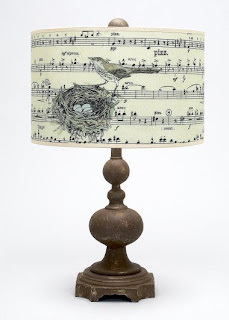 A huge trend I spooted at market is the bird motif. 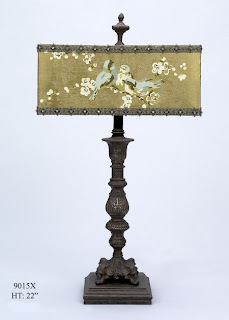 I saw it in lots of places, but two of the most recurrent were lamps and pillows. I really love the black and charteuse combo here. 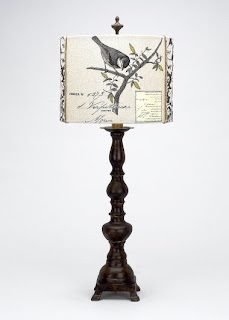 A lot of the pieces have a botanical, Audubon kind of feel to them. 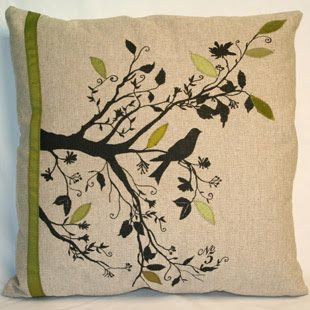 Here is a triple-trend; the bird motif, charteuse, and the uber-hot turquoise color on one pillow. 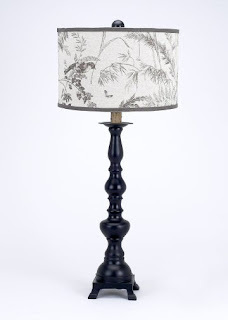 A very airy fern and bird lamp shade. 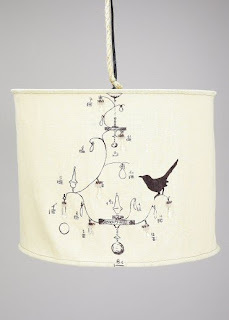 Being a designer, I really like the partial chandelier and bird design. I like this shade with the green-turquoise coloring, the bird motif, and the slim horizontal shape. 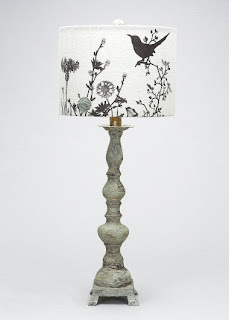 The bird trend goes right along with the leaves and wall stencils we are seeing everywhere! Very cool. Yes, very cool. Very much aligned with everything green, as well. I love all of these!Very pretty! just discovered your beautiful blog.. i've been seeing this trend everywhere too.. it's all over pottery barn.